What a good photo! I was watching the first episode of Judge John Deed last night (made in 2001) and facially, he'd hardly changed at all from his Pros days. Thanks for this. thankyou , i have never watched George Gently but i have seen phots on lj and agree with you there . Glad you like this and thankyou for looking . I think you can see more of a difference in GG, which is natural, but less so in JJD. ahhh right , i'm glad you know your stuff and i will take your word on that . I don't really watch Martin in anything other than The Professionals though i have caught the odd episode of JJD when searching through sky . Infact the other day he was actually on three channels at once , The professionals, JJD and GG all at the same time . 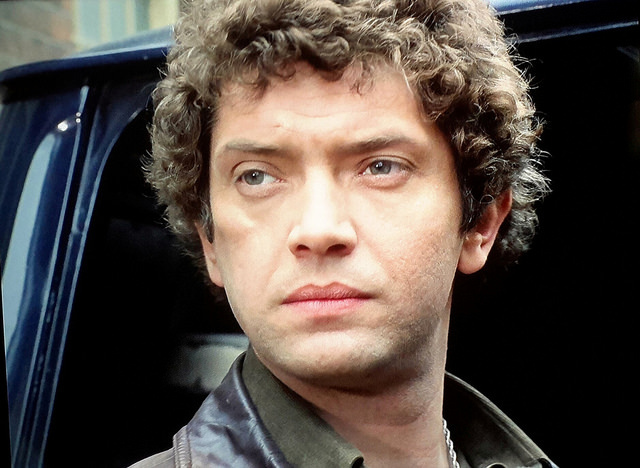 For a Martin Shaw fan it must be heaven to see him on tv so many times . I don't have that luxury with Lewis Collins and have to rely on my dvd's . Yes I've seen him on several channels at once and always wonder if he's watching any of them! I think he must be doing OK on repeat fees. Yes I bet he's minted....lucky him . Lovely clear photo of Doyle! Thank you! Another 'the Doyle I see in my fic' shot. When I read Gentle On My Mind, I imagine Doyle looking like this. thankyou , yes i can imagine him looking like this when i read that certain story though it's been some time since i read it , perhaps a re-read is on the cards . Thankyou so much for looking at this . I only have the first three - and I've read the sixth on the Circuit Archive - so I still have four and five to read, when I find them :0). i think i only have the first two and then the sixth like you i read on the circuit archive so i still have a way to go before i complete the series . Thank you, so glad that you like it and thankyou for looking and commenting .